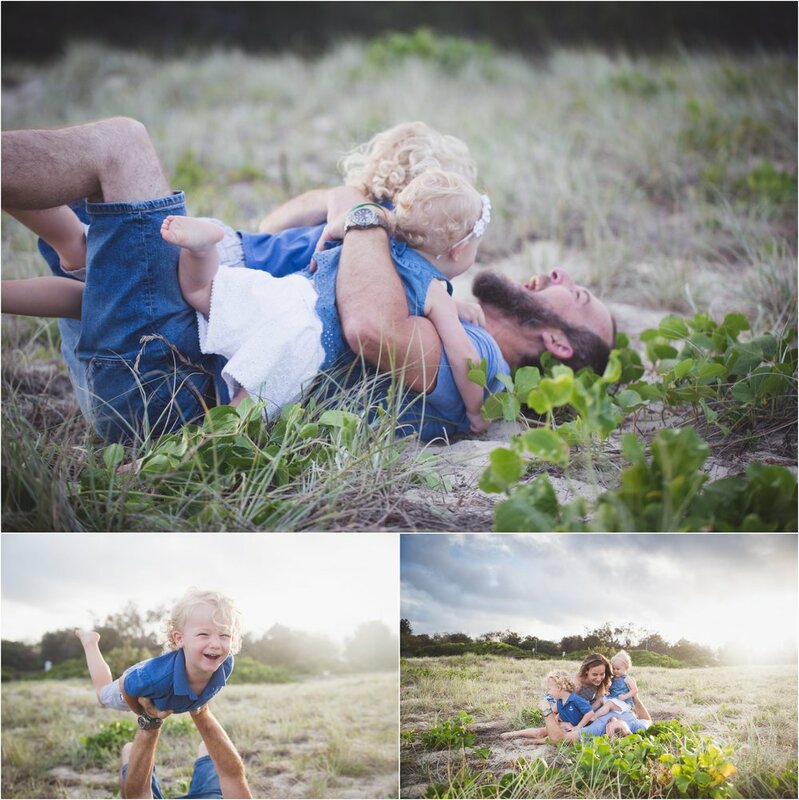 I thought it would be fun to do some fine art mini sessions during the school holidays. 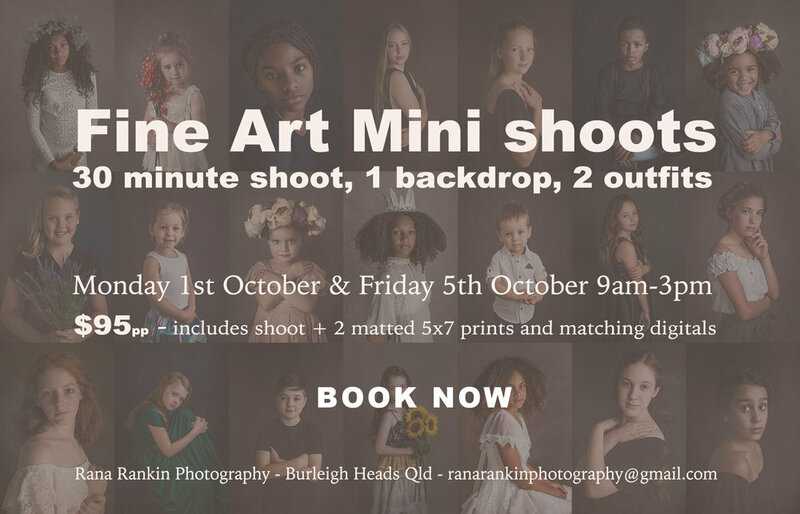 These will be 30 minute sessions in my Burleigh Heads studio. One backdrop and 2 outfits. 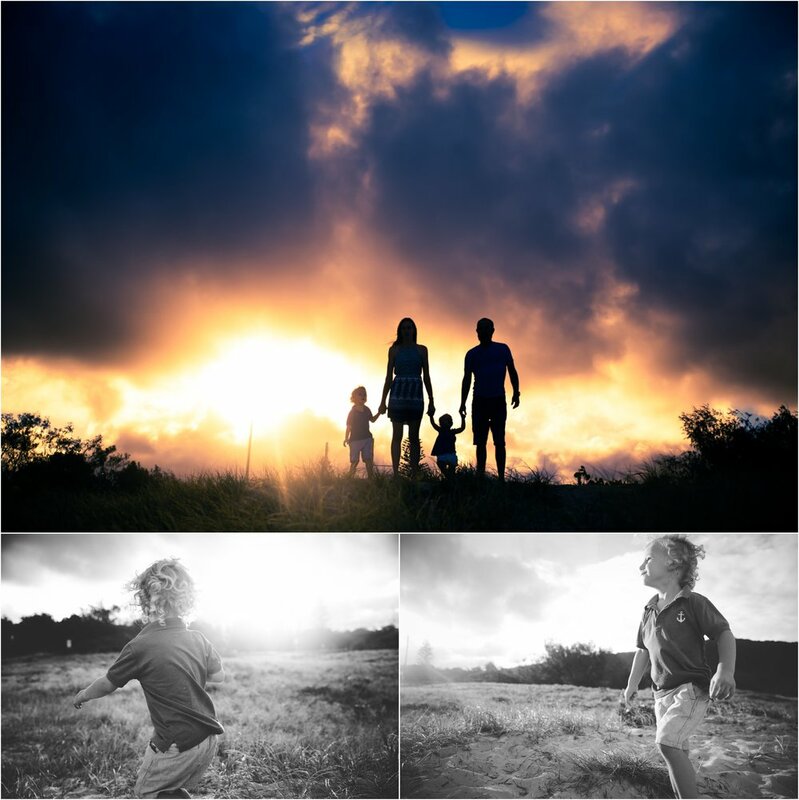 The session will include 2 printed images + matching digitals, you get to choose your 2 from a gallery of 10-15 images. More images can be purchased if wanted. Price is $95 per child, please let me know if you want to book more that 1 session at a time. 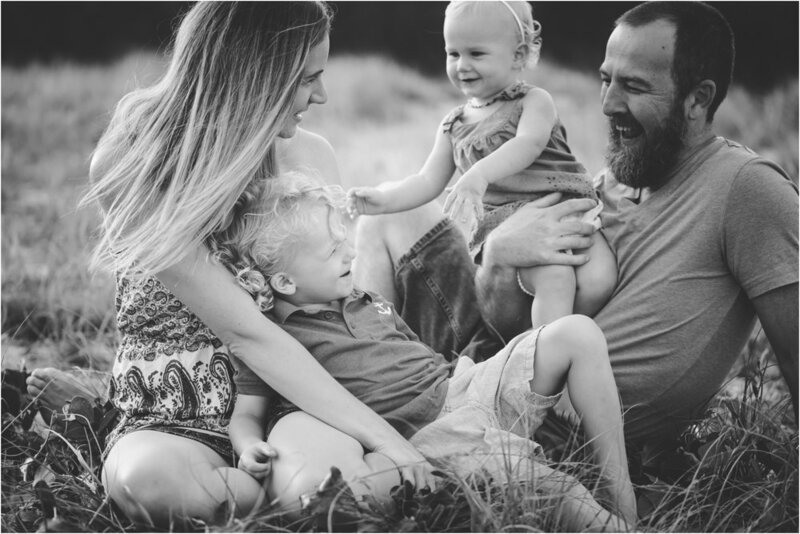 if you book for multiple children we can also do sibling shots. Very excited to offer a limited number of milk bath mini sessions in June, choose from 4 bath options, fruit loops, greenery or floral. Perfect for ages 8 months - 3 years (only 2 baths available for older children). If you and your little one would like to join us in our Burleigh Heads studio for a splashing time, please contact me to book! For ages I’ve had an idea for a personal project I want to do, and now seems the time to get it started. I am looking for “identical” twins - are you a monozygotic twin, or a parent of monozygotic twins? If so I’d love to chat with you. Use the contact button if you’d like to know more. I am excited this year to offer a limited time of Newborn Christmas minis. These are for newborns 4 weeks and under. The session will be 30-45 minute, images will be of baby wrapped if awake and gently posed if sleeping. The end result will be a gallery of 10-15 Christmas themed images. You can choose from 2 packages - 6 images or all images. Prints and products available at 10% off regular prices. Full price of $250 must be paid by the day of the shoot, with a minimum of $125 to be paid top secure your spot. You can choose to upgrade from the basic package after you have viewed your gallery. Over the last few months I have been working on offering a different style of children portrait, something timeless while still modern. And I am so excited to launch these, they truly make my heart sing! What makes "Fine Art Portraits" different to other sessions? Fine Art sessions are in studio, they are more posed and more edited than a regular session, they are about getting a couple of beautiful images to put on the wall. They are classic and timeless. They are a session that you wear your "Sunday best" for, or you can choose from outfits that we have in the studio, they are styled to be beautiful. After your Fine Art Portrait session you will come back to the studio and choose your favourite images from the session. 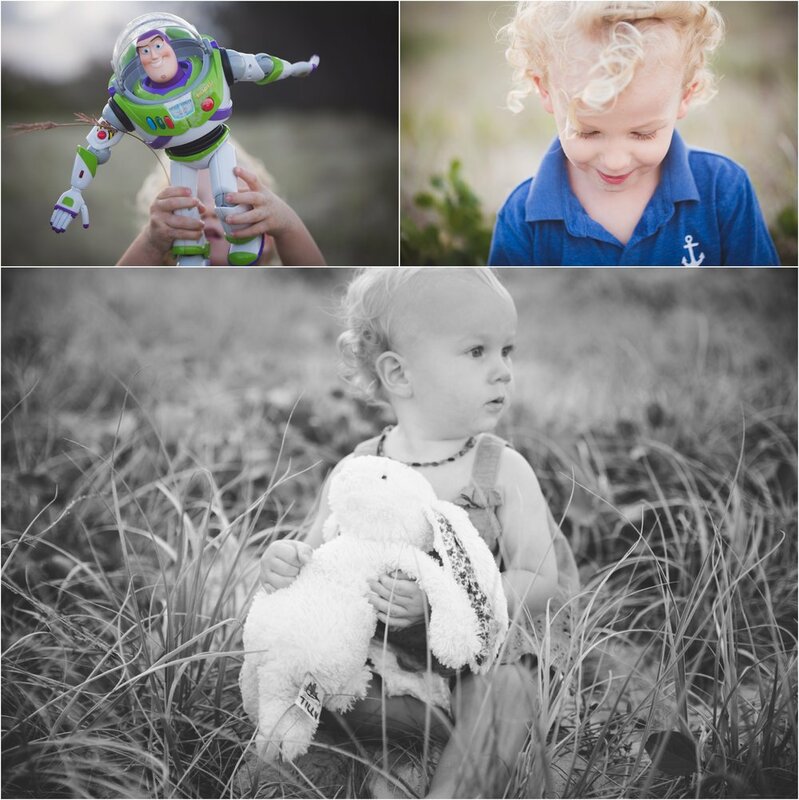 Every session includes one matted 5x7 print. You will be shown a gallery of a minimum of 10 images. Every session will include a minimum or 2 different looks. You can then choose as many images as you wish to buy, there is no minimum spend. All images purchased come with the matching digital file. To book your session please use the contact tab above. Its been way too long between blog posts. An awesome special is a great reason to blog I think! This special will only be available until November 30th and there will only be 10 spots available, so what are you waiting for? You can secure your spot now, just pay $250 deposit, and the rest can be paid on the day of the shoot. Pay it all now and receive an extra 3 images! you will also receive 15% off any extra images and products you want, all in time for Christmas! I am very excited to schedule some breastfeeding mini shoots for 2017. The 1st ones are in March. Shoots are $95 and include your 3 favourite images. More images and products can be purchased after the shoot. breatsfeeding shoot from Rana Rankin Photography on Vimeo. Recently I had the honour of capturing Bailey's speedy arrival into the world. Was lovely to have her in the studio. I am incredibly excited to share that I have been asked to present 2 keynote presentations on birth photography at this year's Baby Summit! I am so passionate about sharing my knowledge and am so grateful to have been offered a chance to speak at such an amazing event. 2017 will be my 4th baby summit, in 2015 I attended the very 1st Baby Summit and was totally blown away, it was my 1st workshop I had ever attended and it truly did change my life. I left inspired, motivated and so grateful that so many amazing photographers and artists were willing to share so freely what made them unique, what drives them and what inspires them. In 2016 I was all ready to book my place again and then decided I would see if I could actually be part of the baby summit crew, so I emailed the organisers and asked if they needed any more volunteers, boy am I glad I did that, I thought I gained a lot from attending TBS in 2015, wow what I got from volunteering was even more, the organisers are such amazing humans, wish we had more people like them in this world, and the other volunteers - wow, now I have this huge family of TBS sisters and brothers, I feel so lucky. And if that was not enough I then was given the opportunity to travel to the USA to volunteer at The Baby Summit Atlanta (and even got to have a little side adventure of a lifetime in NY on the way!). I was pretty excited at the prospect of donning my "white shirt" for a 3rd time as a volunteer for 2017, and then at the end of last year I received an email asking me (little old me!) if I would speak, share my passion and my knowledge. Of course I said yes, no hesitation, might have wet my pants a little! So I hope I still get a chance to put on the white shirt and run around behind the scenes (great way to lose weight! ), I have 2 exciting classes I am working on, something a bit different for one of them, hope I do it justice and can contribute to other people feeling the same way I did when I left my 1st baby summit! So if you know someone that is a photographer, at any stage of their career, tell them about the baby summit, tell them they should do it, they will not regret it. Hope to see you there, come up and get a hug, share a wine and have a boogie, that is such a big part of TBS! Bring on August! The Baby Summit AU 2016 Closing Video from Kelly Brown on Vimeo.